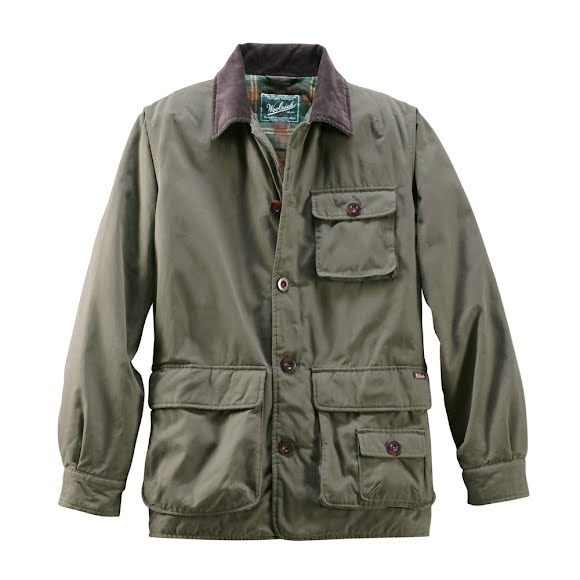 Woolrich extensive archives provided the inspiration for this coat-durable and rugged for all your outdoor pursuits. Lightly waxed twill shell repels water when you're in the elements. You'll stay warm, too, with 60-gram Arctic Insulation throughout. Upper lining of our signature Trout Run Flannel, lower lining of nylon taffeta. Woolrich extensive archives provided the inspiration for this coat-durable and rugged for all your outdoor pursuits. Lightly waxed twill shell repels water when you&apos;re in the elements. You&apos;ll stay warm, too, with 60-gram Arctic Insulation throughout. Upper lining of our signature Trout Run Flannel, lower lining of nylon taffeta. Coat has corduroy collar, adjustable cuffs, chest pocket, and lower, dual entry, zippered hand-warmer pockets. Internal security pocket for media player and cord. Measurements Centerback length - 31"